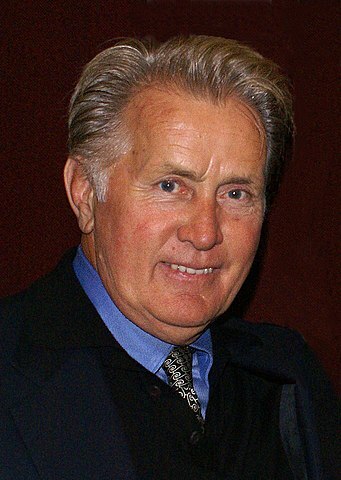 Martin Sheen was born in Dayton, Ohio, United States, on August 3, 1940, is an American actor. Young Martin Sheen began his acting career on the stage and on American television series. He made his big screen debut in neo-noir thriller film The Incident (1967) in role as Artie Connors. Martin's breakthrough performance came as Timmy Cleary in drama film The Subject Was Roses (1968). He was nominated for the BAFTA Award for Best Actor for his role as Captain Benjamin L. Willard in epic war film Apocalypse Now (1979), directed by Francis Ford Coppola. He won a Golden Globe Award for his role as President Josiah Bartlet in political drama television series The West Wing (1999–2006). He has been nominated for ten Emmy Awards and for eight Golden Globe Awards. He was greatly influenced by actor James Dean. He directed film Cadence (1990). He married Janet Templeton in 1961, they have four children. He received a Star on the Hollywood Walk of Fame in 1989. I don't like scary films. I watched Psycho (1960) for the first time recently, alone in the house at night. That was a mistake. I had to call my friend to come over. James Dean had such a powerful effect on my generation. I'd love to have worked with him. While acting is what I do for a living, activism is what I do to stay alive. I act because I can't seem to live with myself if I do not. I don't know any other way to be. It isn't something you can explain; it is just something that you do; it is something that you are.